See the Meetup event for details. Hill running is, hands down, the best way to improve overall conditioning, speed, and mental toughness. And NYC is full of hills! The Williamsburg Bridge was home base for years. But starting in 2019, we're changing it up. Every month, we switch to a new location. Because everyone knows it takes 4-5 sessions to fully master an incline! Sprints: Run up the hill as fast as you can, for 45 seconds at a time. It'll bust your lungs and crush your dreams, but it'll make you a damn good runner. Anything Goes: 200m? 400m? 800m? How far up that incline are we going to go? It's in the cards! Every card suit corresponds to a distance. And if you get the joker, you're probably doing a lot of Burpees. The Whole Shebang: For bridges: run across the entire bridge and back! See how long it takes to say a quick "Hello" to one borough and return to the other. Hill Repeats: The simplest, but often the most effective workout. Run up to and down from a fixed point on the incline, repeatedly. Are you up to the challenge. 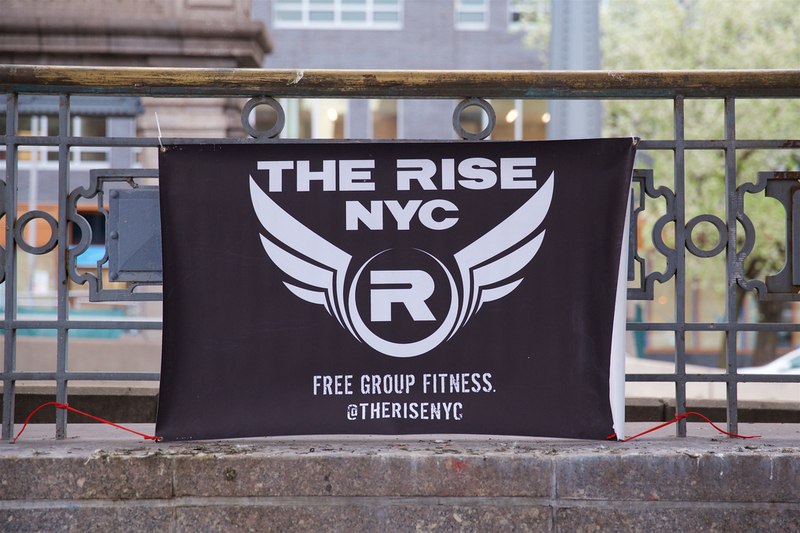 Then (literally) Rise up with us every Friday morning!